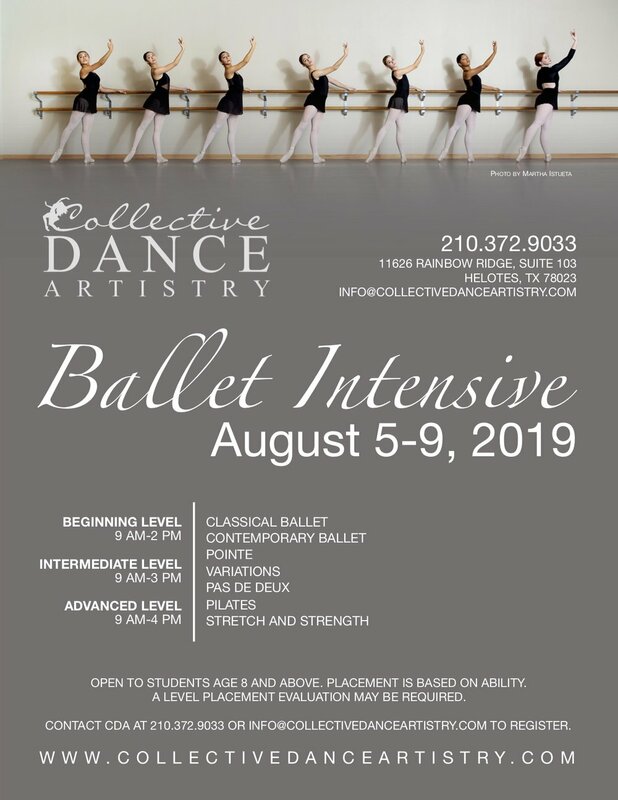 Join us August 5-9,2019 for our Ballet Intensive! Open to dancers age 8 and older. Join us August 5-9, 2019 for our Ballerina Beach party! Open to children ages 3-7. 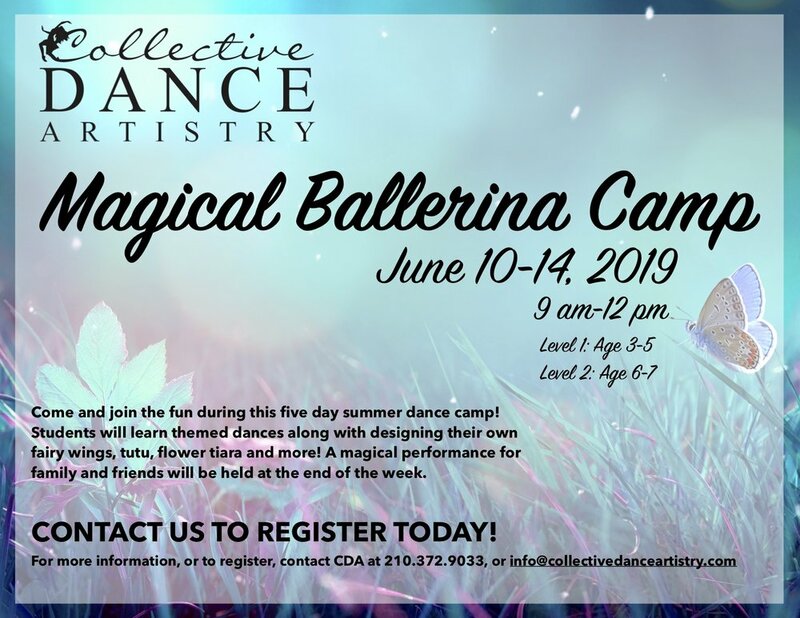 Join us June 10-14, 2019 for our Magical Ballerina Camp! Open to children ages 3-7. 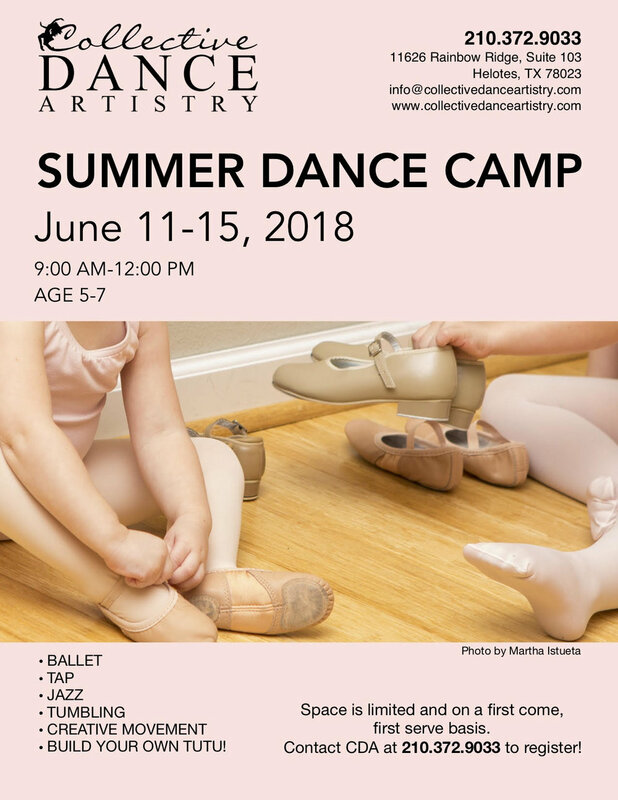 Join us June 10-14,2019 for our Summer Dance Intensive! Open to dancers age 8 and older. 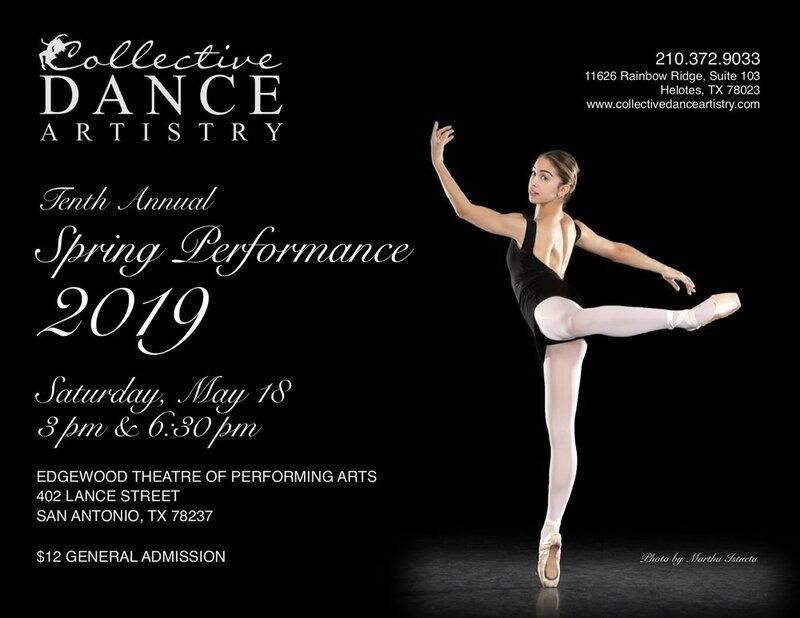 Join us on Saturday, May 18th at 3:00 pm and 6:30 pm for Collective Dance Artistry’s Spring Performance. Both performances will be held at the Edgewood Theater of Performing Arts in San Antonio. Tickets are $12. 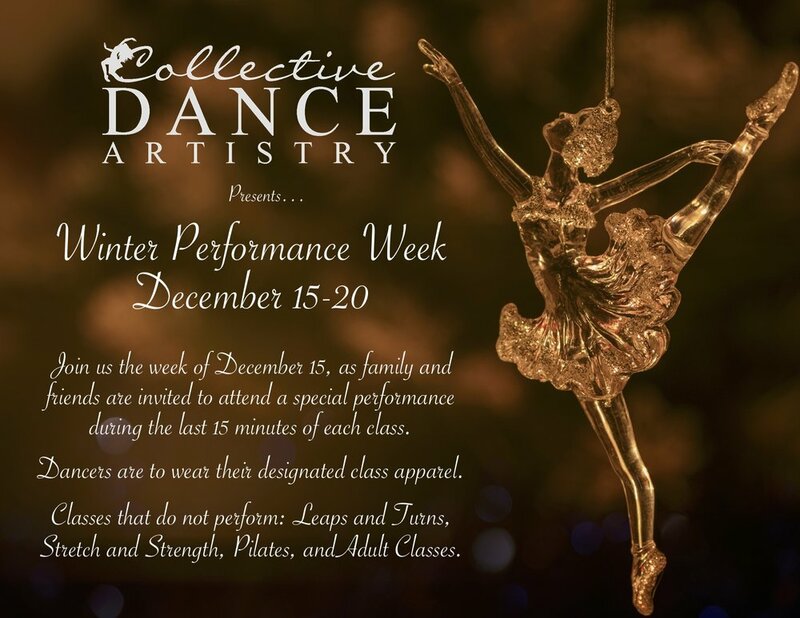 Beginning the week of December 15th, students will perform during the last 15 minutes of each class. 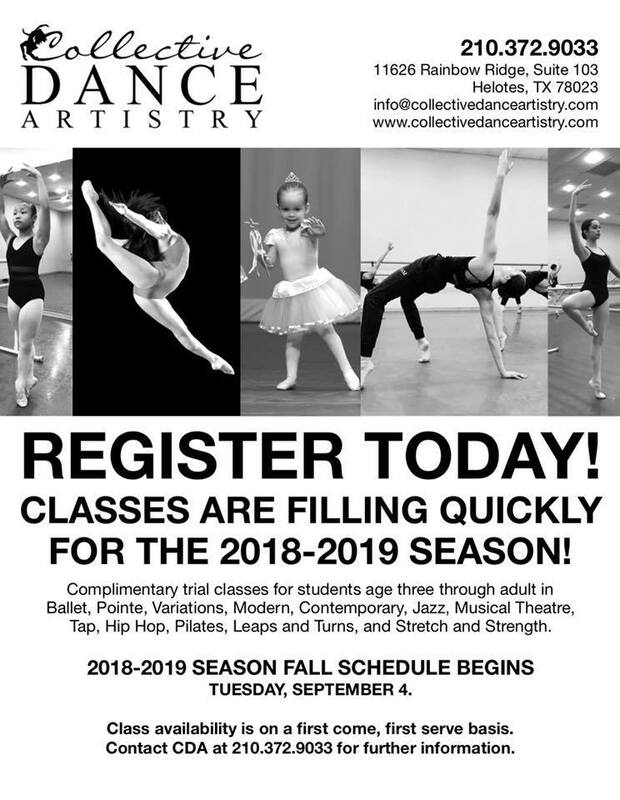 Are you looking for dance classes in the San Antonio & Helotes area at an accomplished studio with excellent instructors? We offer Ballet, Modern, Jazz, Hip Hop, Contemporary, Musical Theater and more.